Today is "Family Day"--a day we should be eating a meal together with our children. Do your part today--and every day--to be a positive force in your child's life! Does your loved one battle an eating disorder? Our next coaching group for men begins August 29 in San Rafael, CA, and runs 4 Wednesday evenings from 7:00-8:30. Past participants report substantial increase in their understanding of eating disorders and their confidence in dealing with them. They also report that the coaching help reduce their anxiety, fear, and frustration. I loved this workshop. I was apprehensive beforehand, but it quickly became one of my favorite things of the week. I was so good to be among men who are open and honest and have similar struggles. I feel much less alone. I appreciate the knowledge, wisdom and caring of the facilitators. I learned facts and skills. I was reassured in some ways and guided in other ways to help our family member in recovery and myself. I highly recommend this workshop. Join men’s expert and author Joe Kelly and eating disorders specialist Bridget Whitlow, LMFT for 4 weekly coaching sessions. Register now. Another day-long coaching workshop runs from 9 am to 3 pm on Saturday September 29 in Petaluma, CA. 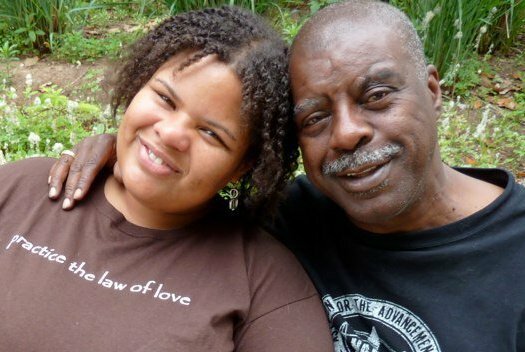 We are proud to partner with this great project, and so please that they know--and celebrate--the power and potential of father-daughter relationships. On this Fathers Day, remember that men today long to have good relationships with their children. But there have been generations of silence about what it means to be a father. We didn’t hear our own dads talk about it. At my fathering workshops the most moving moment is when I ask, ‘How many of you feel like you’ve been changed as a man by having this daughter? Stand up if you can tell me one or two or three things that are different for you.’ Everyone in the room stands. Then I ask, ‘Stand up if your father ever spoke to you about how he was changed as a man by you being his child.’ Sometimes no one stands, and rarely more than 3 men stand. That’s a very emotional moment. So many of us dads never heard anything on the subject from our own fathers. That’s really sad. However, it’s also an opportunity to break that cycle of silence, and talk to other fathers (including our own) about it. 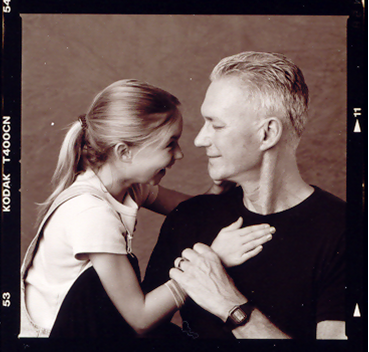 In the years before and since I wrote Dads & Daughters®: How to Inspire, Understand and Support Your Daughter, I've talked and/or corresponded in-depth with thousands of fathers. The good news? With only a handful of exceptions, the fathers I communicate with are articulate and passionate; we have a lot to say about the experience and importance of being a dad. And while much of that may have gone unspoken until the moment of our conversations, those men and I quickly learned there’s real power in asking: "How are you changed as a person because you are a Dad?". This Father's Day weekend Barbershops in the cities below are participating in Fatherhood Buzz, an initiative to support barbershops in connecting dads with local resources to help build strong families. It’s a great idea to identify a place where men naturally gather, and use it as a resource to connect dad to tools, ideas, and support close to home. Ask for a haircut as your fathers Day present, and join the Buzz! Are you a professional (teacher, therapist, social worker, dietitian, physician, clergy member, etc.) who works with families? Do you know someone who is? Then, check out my other blog for information and resources to help family-serving professionals engage and mobilize fathers and stepfathers. They are an untapped natural resource that we shouldn't let go to waste! A girl feels good about herself when she is loud and bold. Too often, she runs into the notion (sometimes reinforced by Dad) that loud behavior is not ladylike. As she approaches adolescence, she hears that it’s unattractive to recognize your own needs and speak up openly for them. People (sometimes within her family) begin seeing her as a sexual object rather than as a person. She begins to wear the gender straight-jacket that squeezes out her breath while rewarding her more for her looks, passivity and being soft-spoken than for her passions, insights and beliefs. A girl also gets strong messages that silencing herself is the only way to maintain her relationships with girlfriends, boyfriends, family and anyone who is important to her. She learns the myth that loudness and friction will threaten the survival of relationships – and that a relationship will not continue if she demands that it meet her needs. It’s not a pretty picture in which to imagine our daughters. Many adult women spend years trying to emerge from this underground and reconnect with that spunky 10-year-old. Fortunately, we can help address many of these problems. Since the father-daughter relationship is one of her most important ones, we are in a unique position to counter these negative cultural messages by encouraging our daughters to speak up and rewarding them when they do. The best way of doing this is to actively listen to our daughters. When we turn our attention to what a daughter says, does and cares about, we show her that a crucial man in her life—her father—cares about who she is, above all else. When we respect what our daughters’ voices say, we build up their inner strength. Listen, and honor her voice. Father, speaker and primary media source on father-daughter bonds, I am a Fathering Educator and have written 4 fathering books, including the best-seller Dads & Daughters®: How to Inspire, Understand & Support Your Daughter. I speak and train across North America on fathering; media’s impact on families; successful strategies for raising kids; and how professionals can mobilize Dads as allies in their work. Learn more at http://thedadman.com/about.